Our Problem Solving and Decision Making Training Course is highly interactive, packed with activities that enable you to apply a range of problem solving techniques and develop problem solving competencies. 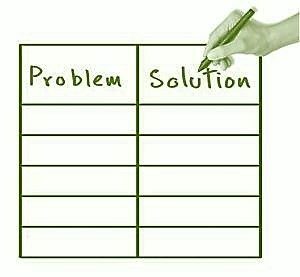 Ready to find different solutions to everyday problems? Resolving issues quickly and accurately. Developing innovative solutions to problems. Applying objective judgment to decision making. The adaptability of this program makes it applicable for a wide range of organizational levels from senior managers wanting to enhance their critical thinking skills to front-line staff who have had little experience with problem solving training. An understanding of a variety of approaches to effectively collecting information to solve problems. Understanding Thinking Patterns Do you go towards > or Away from < Your Goal? Making Decisions – Your Experience of Yesterday What did you learn then to apply to today or tomorrow? This function has been disabled for Spectrum Training Services.